Eileen Gannon has been lighting up the St. Louis music scene for many years. A St. Louis native, she is one of the top Irish harp players in the world. She has won numerous accolades including the highly coveted Senior Harp title at Fleadh Cheoil na hÉireann (World Irish Music Championships). She has a bachelor’s degree in Music Performance from St. Louis University and a master’s degree in Ethnomusicology from University of Limerick. Eileen has toured and performed all over the world and is a regular tutor at international festivals like the Catskills Irish Arts Week, and Scoil Eigse. Eileen also represented Ireland at World Expos in 2010 in Shanghai, China and in 2015, in Milan, Italy. She also holds the TTCT teaching certificate awarded by Comhaltas Ceoltoiri Eirreann. 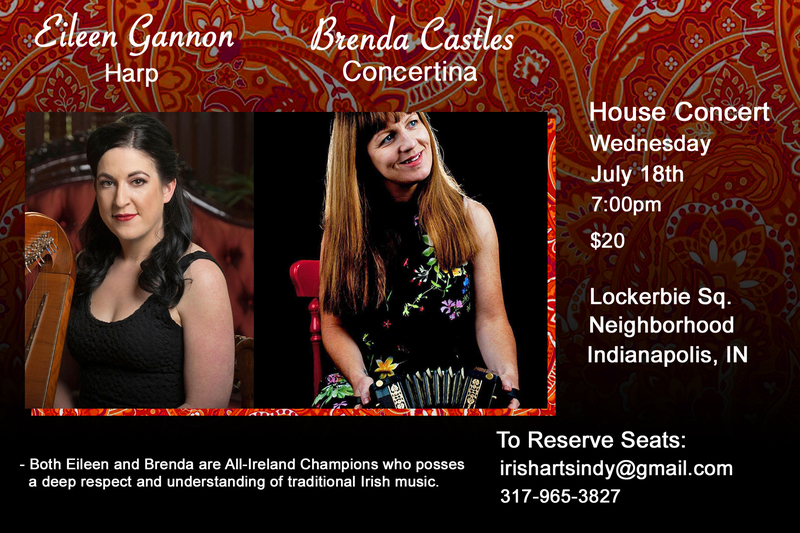 Brenda Castles comes from a rich background of traditional Irish music in Co. Meath. Growing up, there was plenty of music and dancing in her house - her father Noel plays banjo and her mother Lily was known to participate in the odd set dance. Brenda has several All-Ireland Fleadh titles to her name both in solo and group competitions. She has just returned from a series of concerts in New York and is currently based in Dublin city centre where she regularly performs and teaches music.